Oh yes. 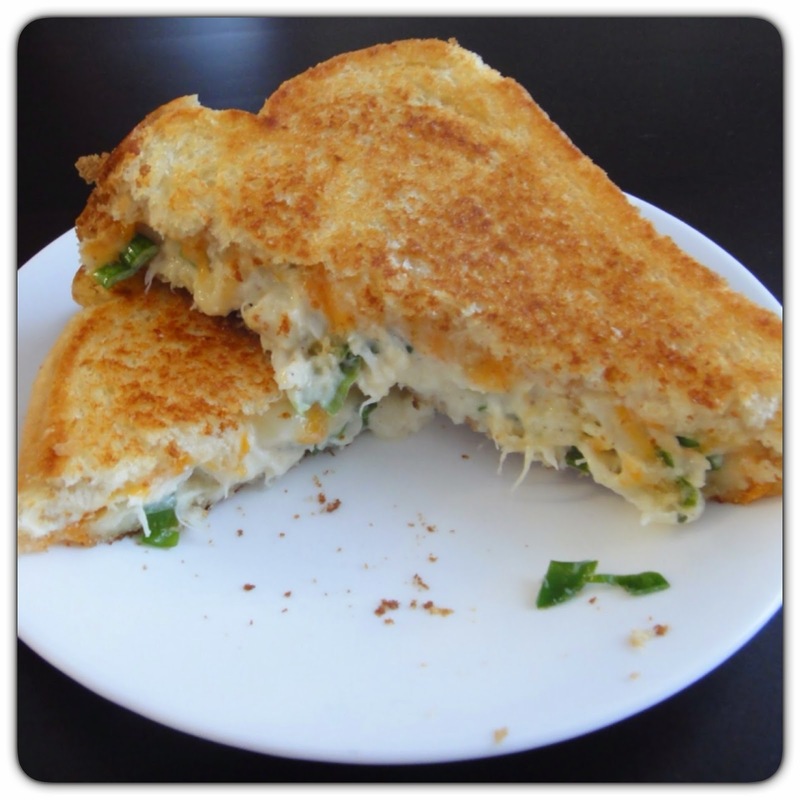 The one, the only, Joey's lobster grilled cheese sandwich! It's ok if you just drooled, because I did too. Now the picture I took surely does not do this meal justice, but just trust me on this, if you like grilled cheese sandwiches, this is the holy grail of them. And again...not for the healthy-at-heart but if you're looking at treating yourself to a guilty pleasure, look no further. I took this recipe from Closet Cooking and re-created it the other day, I haven't had Joey's LGC in a few months so I can't say whether or not it tastes exactly like it, but it's still a damned good meal! Mix the lobster, brie, mayo, tarragon, green onions, grainy mustard, garlic, and lemon juice in a bowl. Combine thoroughly. Butter one side of each slice of bread and assemble sandwiches with the buttered sides of the bread facing out, fill each with a slice of cheese and a quarter of the lobster mixture. Grill until the bread is golden brown on both sides until the cheese is melted on the inside. Cut into half or quarters and serve with seafood sauce on the side (optional).